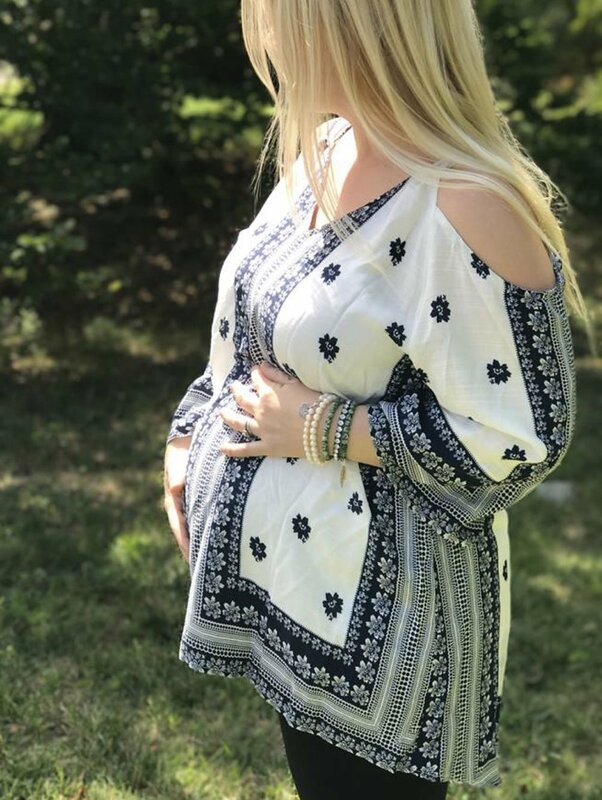 New Boutqiue Looks – Trending Now! With all types of styles in all types of sizing, it’s easy for every woman to find something to love in our Boutique. Here are 5 new trends and float looks we’re loving right now! 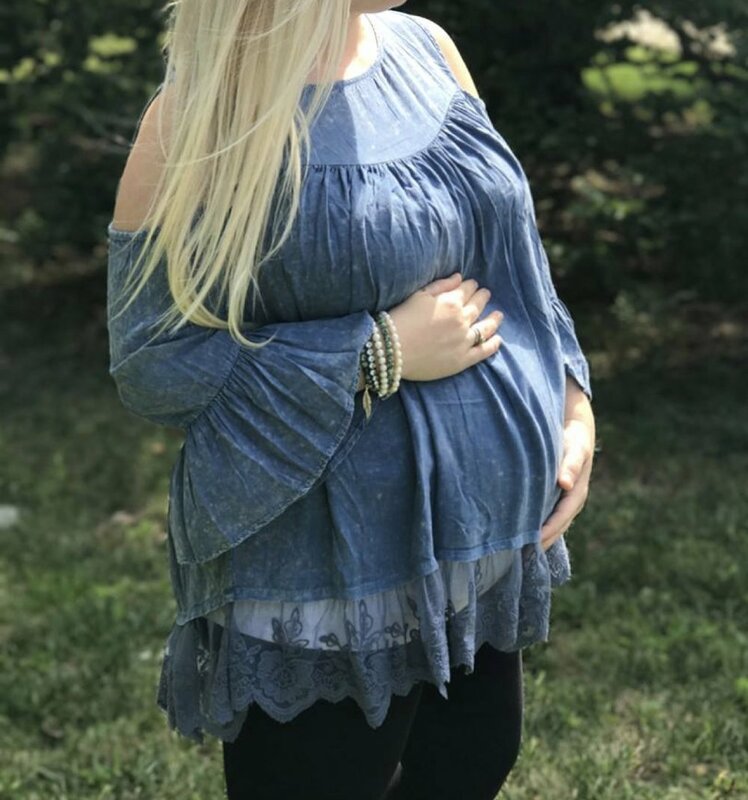 This top takes a cue from the 60’s, pulling together beloved denim and taking inspiration from bell bottoms with bell sleeves. 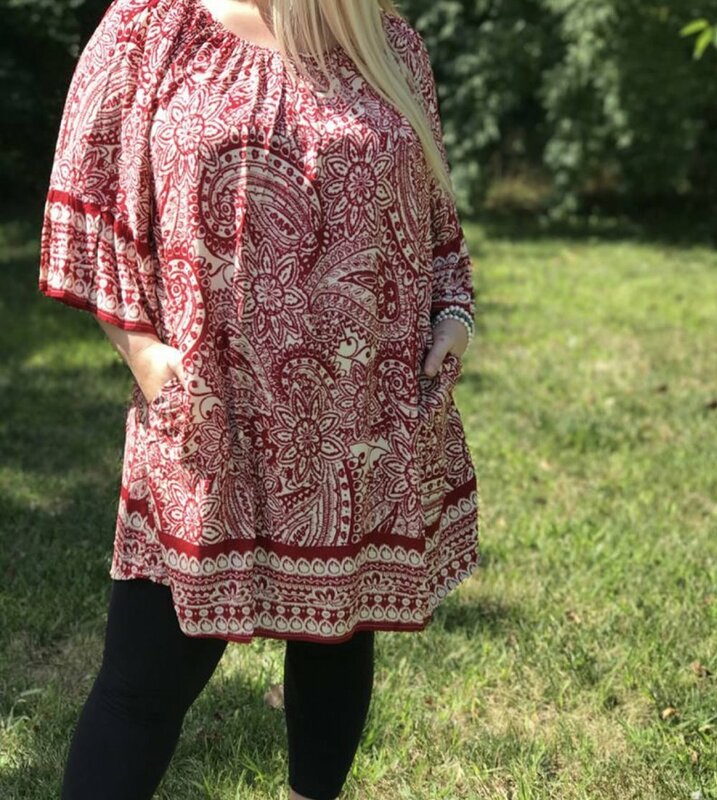 This paisley patterned red and white blouse/dress features pockets, which always gets extra bonus points in our books! The cutout shoulder trend is still going strong as shown in this adorable white and blue blouse, patterned with florals. 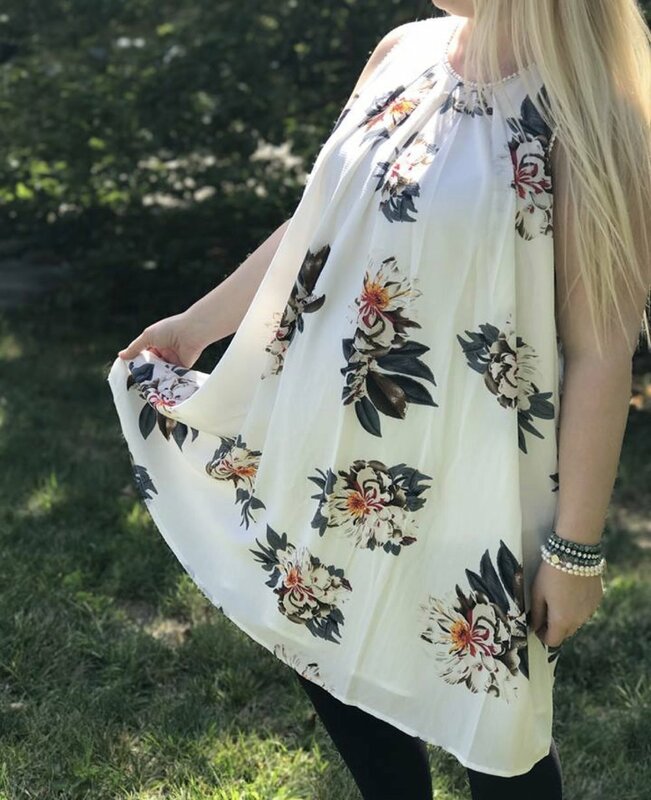 Large garden blooms pop off the white in this flirty floral dress. 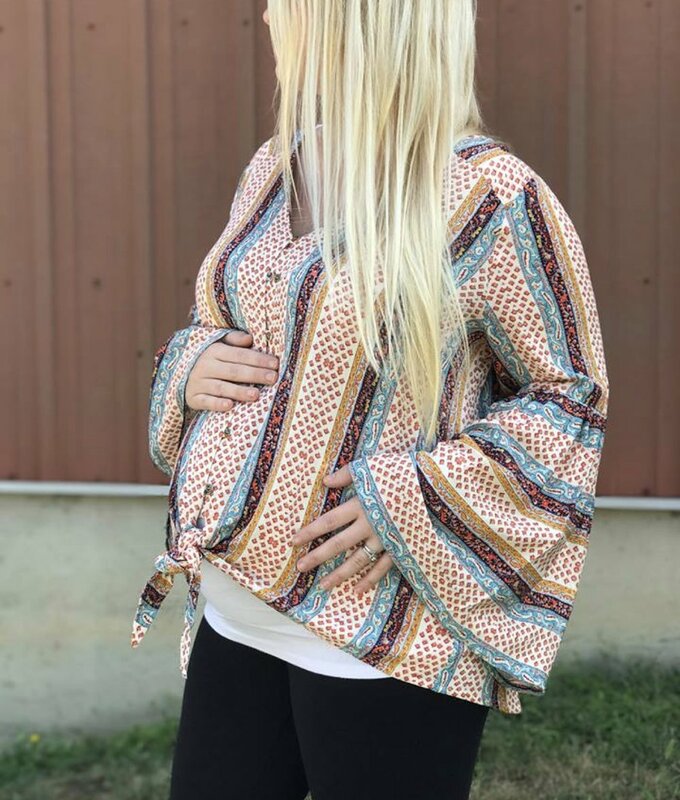 A button up top with multiple patterns, an adorable tie, and bell sleeves prove boho is beautiful. Sign up to receive 10% off your Botique Purchases every Tuesday!